Broadcasting information the mainstream media won't touch. Are you aware of the dangers of 5G Technology? If the answer is no then I suggest you use this and other sites to get up to speed before this technology is forced upon an unsuspecting public. If the answer is Yes, then you must be concerned as many others are, to the health, environment and surveillance implications for our future. As we know, social media is having a purge on the Alternative Research Community, making it impossible to share important research, this is not coincidence at this time. The Globalists intend to roll out a very sinister and dangerous technology that will be hailed as faster broadband, better connectivity and a great new idea of connecting everything to the Internet of Things. The problem is that we too, will become the things. Whilst experts have refuted the claims that this technology will mean faster/better/greater and scientists and doctors have written thousands of peer reviewed studies that prove beyond doubt that EMR is already a serious danger, whilst the next generation of this technology will be catastrophic for humanity. In the meantime, the public for most part, have no idea exactly what 5G is. It is up to us to inform and educate in our own communities. This is achievable if people get onboard. How can the public refuse something like 5G if they do not know exactly what it entails? We owe it to our children and to their children, to make sure that the future is safe, you MUST be willing to help or that old saying that ” All it takes for evil to exist is for good people to do nothing” will come to fruition. We propose leaflet campaigns, street actions, make some noise, release balloons, change you FB profile to one that highlights 5G, advertise in the media, do whatever we can to highlight this dangerous technology. At the moment, the Inpower movement have a Notice of Liability process that covers only N.America and Canada, do you have any experience in Law? Can you help by getting involved with a UK group who will work on this? Can you spare money for advertising costs or have a printer that can help spread the word? It is time that we stood up for our rights, our health, our children and our future. We can only do this by direct action in our communities, please join the forum on this website, together we can create UK Against 5G. Today is the start of a two week period calling for mass action against 5G technology, in conjunction with REAL CHANGE.We suggest a number of actions that anyone can join in with, please remember that your silence is your consent.Firstly add your name to the event and change your profile picture to one of those added on the event page. * We have created a leaflet in pdf form so that anyone can download it or create your own with a community level leaflet campaign in mind. * We suggest street actions involving such things as the releasing of balloons, creating attention to the dangers of 5G and connecting with the public. * Contacting newspapers,council officials and any groups or individuals who have or are considering introducing 5G into your community. * Contacting the Church of England to protest at recent agreements to allow 5G Infrastructure to be used on churches or church owned buildings such as farm buildings. * If you see lamposts with aerials on top the write to your councilstating :Under the Freedom of Information Act please could you find the information for the following questions. 1. What are the antennas on top of the lamp posts for? 3. What are the guide lines for EMF exposure to the public and are the lamp posts adhering to them. * Contacting the Consumer Protection for Unfair Trading for unfair trading stating that the average consumer cannot make a free and properly informed decision on buying goods that utilises 5G technology when the dangers are not being addressed. We need to demand a re-evaluation of health effects including skin physiology,multi generational reproductive and developmental toxicity studies on the current RF technology from independent studies with no ties to the telecom industry, with anyone pushing the agenda vetted and halted from decision making including any pension,portfolios or operations that would profit from operation or expansion of 5G technology. Today is the day to make a stand, the alternatives are to remain complicit in silence. Any actions that anyone can suggest to highlight an awareness agenda will be acknowledged. Today is the first day of the rest of your life, make it count for the children! Newsbud- A 100% People-Funded Media with Integrity, in partnership with BFP, is an independent news, analyses and multimedia network. We do not receive a single penny from corporate advertisers, foundations, NGOs or partisan-affiliated entities. Not a penny! All Newsbud reports and multimedia productions are entirely independent, nonpartisan, and developed, written, produced, and vetted by our staff, who are paid with funding from the public-That’s you. We cover select but significant blacked out stories and issues, while defying blinded partisanship and propaganda-driven mainstream views. We can only exist with the support of our viewers. Your subscriptions and donations enable us to create and produce original and independent multimedia shows, provide you with in-depth and independent expert analyses, and present to you crucial news and developments. Please help us continue and expand- for independent truth and for all of us, with your donation and or subscription. On this edition of The Geopolitical Report, we examine the concerted effort by the establishment to demonize and eventually eliminate alternative media. Since the election and the debunked hysterical claim Russia meddled in the election and helped Trump defeat Clinton, the government has leaned heavily on social media platforms to put an end to supposed fake news generated by phantom Russian operatives and bots. The real target is not Russia, but non-establishment media in general. It’s a full frontal assault by the ruling elite to gain control of the narrative and marginalize if not eradicate opposition to its agenda. There are some big players behind this effort. For instance, the Alliance for Securing Democracy. This organization describes itself as a bipartisan transatlantic effort by policymakers, like-minded institutions, and technical experts to address the urgent need to secure democracy from what it describes as a nefarious Russian influence operation. The ultimate goal is to manipulate societal trends and challenge nongovernmental actors who may attempt to replicate the supposed Russian tactics. In other words, it will attack those of us outside the propaganda matrix, those who criticize policies of the state, especially in regard to foreign policy. All the Norml US States animated images are feely downloadable see link, NEWS2020 helping to wage War on the War on Drugs for over twleve years. On Tuesday, Los Angeles County supes voted to crack down on illegal dispensaries. The county supervisors voted Tuesday to crack down on dispensaries in unincorporated areas of the county. The county will create a "Medical Marijuana Dispensary Enforcement Team" to shut down and prosecute the unpermitted operations, which have been banned since 2011. Also on Tuesday, San Diego licensed dispensaries called for a crackdown on unlicensed ones. The Association of Cannabis Professionals, which represents licensed dispensaries, is calling on the city to shut down dispensaries operating without a license. There are an estimated 30 unpermitted dispensaries in the city, and the seven licensed ones are claiming they can't compete because of the increased costs they bear to get and stay legal. "The City of San Diego spent nearly four years developing regulations, and our members spent nearly two years, and hundreds of thousands of dollars, to meet the conditions needed to obtain their permits from the City of San Diego,” says Association President Chris Siegel. “But despite having jumped through all of these hoops and costs, in order to do things right, the City continues to allow unpermitted dispensaries to operate with impunity." Florida Last Thursday, the House approved a medical marijuana bill. The House approved House Bill 307, which allows terminal patients to use nonsmokable marijuana and adds regulations for dispensing groups, patients, and doctors under the Compassionate Medical Cannabis Act. Similar legislation is moving in the Senate. On Monday, the Senate approved the bill. The Senate Monday approved House Bill 307, which would allow terminally ill patients to use medical marijuana. The bill now goes to the desk of Gov. Rick Scott (R). Last Thursday,activists halted their initiative campaign in the wake of misstated petition language. New Approach Idaho has stopped its petition campaign after the American Academy of Pediatrics objected to being identified on the front page of the petition as medical marijuana supporters. New Approach Idaho said the misrepresentation of the academy's position—it has called for rescheduling marijuana—was unintentional. Last Thursday, a bill to double dispensaries was filed. Rep. Scott Slater (D-Providence) has filed House Bill 7808, which would increase the number of dispensaries in the state from three to six. Last Friday, the medical marijuana initiative got a second chance. State officials will recheck the validity of signatures on the New Approach South Dakota medical marijuana initiative after proponents officially challenged an earlier count that found they came up short on signatures. Last month, state officials disqualified the initiative after a 5% random sample found that nearly half of them were invalid. Secretary of State Shantel Krebs said that her office will conduct a new 5% random sampling "in order to maintain confidence in the petition process." It's still a long shot—the group gathered 16,543 raw signatures and needs 13,871 to qualify for the ballot. That means if even 20% of the raw signatures get thrown out—not an at all unusual event—the initiative effort will fail. Last Wednesday, lawmakers approved a resolution calling for marijuana rescheduling. Both houses of the legislature have now unanimously approved a resolution, SCR11, which calls on the federal government to reschedule marijuana after the House approved it yesterday. The resolution now goes to the governor. On Monday, a House committee killed a broad medical marijuana and tried to merge it with another one. The House Health and Human Services Committee effectively killed Senate Bill 73, backed by medical marijuana supporters, then tried to blend in some of its provisions into Senate Bill 89, which would allow doctors to recommend medical marijuana products, but would also impose stricter regulations on its use. Sen. Mark Madsen (R-Saratoga Springs), sponsor of SB 73, said the compromise wasn't good enough. "It's like trying to put live organs in a cadaver and expect some kind of good outcome. It is fundamentally, functionally constructed to fail," Madsen said. "It's entirely possible they wanted it to fail all along. I don't think it's going to come close to meeting any of the needs for the people. It was a placebo bill from the beginning and was intended to torpedo my bill." Medical marijuana activists will now most likely move forward with a threatened initiative. Virginia On Monday, lawmakers approved a CBD cannabis oil bill. The House passed Senate Bill 701, which would allow the cultivation and use of two cannabinoids—CBD and THC-A—for patients suffering from severe epilepsy. The measure has already passed the Senate and now heads the desk of Gov. Terry McAuliffe (D). [For extensive information about the medical marijuana debate, presented in a neutral format, visit MedicalMarijuana.ProCon.org. Minnesota Lawmakers Get Earful from Patients at Hearing. The task force overseeing the state's medical marijuana program heard from patients and providers at a hearing last Friday, with complaints about high prices and logistical problems getting lots of attention. Click on the link for more details. Pope Francis Criticizes War on Drugs. During his address to the United Nations last Friday, Pope Francis turned from criticizing "systemic violence" in places like Syria and Ukraine to addressing violence linked to drug prohibition. "Along the same lines I would mention another kind of conflict which is not always so open, yet is silently killing millions of people. Another kind of war experienced by many of our societies as a result of the narcotics trade," Pope Francis said. The drug war is failing, the pontiff said, and it brings dire consequences. “[It is] a war which is taken for granted and poorly fought. Drug trafficking is by its very nature accompanied by trafficking in persons, money laundering, the arms trade, child exploitation and other forms of corruption,” he continued. Click on the link for a full transcript of his remarks. More..
Of course, each of these 28 cases is a tragedy for the people involved and nothing must distract from that but it clearly shows that in public health terms, 'cannabis psychosis' (which some senior psychiatrists don’t even believe is a genuine diagnosis) is virtually unheard of. So much for the endless newspaper columns, the endlessly repeated ‘studies’ that never reach any conclusion and the endless moralising and deceit from those who make money from this scare story – either from providing ‘therapy’ or by fleecing money from those prepared to fund so-called science that sets out to reach a pre-determined conclusion. So this is very, very bad news for Charles Walker, for his sponsor, Mary Brett of ‘Cannabis Skunk Sense’, for Peter Hitchens, David Raynes, Sarah Graham, Theresa May and hundreds of rehab clinics, therapists and charlatans who talk up the cannabis psychosis scare story. The Daily Mail and the Daily Telegraph, which systematically misrepresent and distort evidence on the subject are exposed for what they are. Even those on the reform side like Transform, who have chosen the dubious path of talking up cannabis as ‘dangerous’ in order to sell their consultancy services, are disgraced. Their credibility is destroyed. Their argument is false and it always has been. Peter Reynolds is the leader of the CLEAR: Cannabis Law Reform, campaign. UNLV’s most impactful recruit this year might be nowhere near the basketball court. Nevada’s state and federal lawmakers have been working to bring medical marijuana researcher Dr. Sue Sisley to the university to conduct a pilot study on the safety and efficacy of marijuana on veterans with chronic and treatment-resistant post-traumatic stress disorder. While the study would be financially supported by sponsors and not receive any federal money, it has received all the federal approvals, said Sisley, who has been working on securing the study since 2011. She is hoping the university will provide the research space. She would study five different strains of marijuana that would be smoked or vaporized and inhaled by 70 veterans. 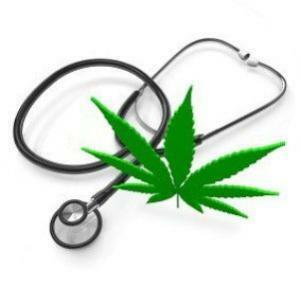 The goal is to develop a marijuana drug in plant form approved by the Food and Drug Administration. It would be the first and only randomized controlled trial in the country looking at marijuana in treating post-traumatic stress disorder. Sisley’s desire to study medical marijuana’s impact grew out of her daily physician work with veterans suffering from PTSD at the University of Arizona’s medical school in Phoenix. The study could be in association with the University of Denver and Johns Hopkins University medical schools through the University of Nevada, Las Vegas psychology department’s community health clinic program. UNLV College of Liberal Arts Dean Christopher C. Hudgins said the health clinic program provides research and services to the community in collaboration with the College of Education’s counseling and educational psychology program. “This would fit well within that if the psychology department agrees that this would be a good appointment,” said Hudgins, adding that the position would not receive any state money. Sisley gave a presentation Sept. 22 to the psychology department’s faculty board about joining as a research faculty member. The board will give its recommendation to Thomas Piechota, UNLV’s vice president for research and economic development. Piechota said the university might take a little longer to review any potential offer because of its connection to medical marijuana. Sisley has secured study approval from the Food and Drug Administration, Drug Enforcement Administration, U.S. Public Health Service and the National Institute on Drug Abuse. The institute would sell her the marijuana study plants out of the government’s grow facility in Mississippi. Board of Regents Chairman Kevin Page said he was not familiar with the recruitment of Sisley or her work. However, her appointment would have to come before the board because of the relationship to medical marijuana. The regents reaffirmed Sept. 4 the Nevada System of Higher Education’s ban on pot use on campus to include medical marijuana. Marijuana is listed as a Schedule 1 drug with no medical benefit, similar to heroin and Ecstasy, making it a federal crime to grow, sell and use. The categorization puts tight restrictions on studying medical marijuana and brings concern that the federal government might pull federal funding from schools involved with pot use and research. However, the regents left the door open for medical marijuana research at the University of Nevada School of Medicine based in Reno. Sisley also met with Rep. Dina Titus, D-Las Vegas, an outspoken advocate for loosening the federal restrictions for medical marijuana research and business. State Sen. Tick Segerblom, D-Las Vegas, said the research is perfect for UNLV despite the rejections in Arizona and potential concerns by Nevada regents. “First off, we’re Nevada, so we’re used to rolling the dice,” Segerblom said. “Secondly, it’s FDA-approved. The marijuana comes from a government farm. You couldn’t have a more federally approved plan than this. Titus said she doesn’t see any legal hurdles to bringing Sisley’s research to UNLV. “If you’ve got a state senator, you’ve got a U.S. congressperson all giving you cover. If you’re the university, you’d think that would be some sense of relief that you wouldn’t have to worry about losing those federal grants,” Titus said. Sisley promoted her research plan Tuesday during the Las Vegas Medical Marijuana Association luncheon, which was attended by industry advocates as well as Segerblom, Hudgins and Piechota. Sisley told the audience she was set to do the study at the University of Arizona, where she had been since 2006 as an associate professor of internal medicine and psychiatry at the College of Medicine-Phoenix and Scottsdale. However, she was fired for her vocal stance on medical marijuana research. According to the New York Times, money from the state’s medical marijuana fees allocated for her study by the Arizona House died when a powerful state senator refused to put the legislation before the Education Committee. Veterans who had been treated by Sisley called Arizona state Senate leaders expressing concerns leading to allegations that the doctor was “aggressively and inappropriately” behind the veterans’ calls. Three months ago, she received a university letter saying her annual employment contract, which expired Friday, would not be renewed. “I had three different contracts there, and they were stripped from me,” she said of her telemedicine research, assistant professorship and a $300,000 medical marijuana law education grant. Although Segerblom contacted Sisley about coming to UNLV earlier this year, the doctor was hoping to remain in Arizona, where she graduated from the University of Arizona and has lived for 30 years. However, her research proposal was rejected by all the academic institutions and 11 hospitals she approached. She has been contacted by other states interested in bringing her research there, but she likes the proximity to her home in Phoenix. She said she is not some pro-marijuana activist looking to fit research to a pre-ordained thesis, but she “desperately hopes” it proves to be helpful to veterans suffering from PTSD. Titus, who taught political science at UNLV for 30 years, said what is needed is research with rigorous oversight and peer reviews on potential positive effects of medical marijuana. The congresswoman added that it could position UNLV as the leading research institution for medical marijuana, attracting more studies and dollars to the university. The recruitment of Sisley comes as Nevada has received 520 applications for medical marijuana establishments, including dispensaries, cultivation facilities, testing labs and manufacturing of edibles. Acid Test follows the converging life stories of three men, Nicholas Blackston, a Marine who suffered terribly in heavy and relentless combat in the Iraq war and developed life-threatening Post Traumatic Stress Syndrome; Dr. Michael Mithoefer, a compassionate psychiatrist who believed in the healing potential implicit in altered states of consciousness and was willing to risk his professional reputation to test this idea in clinical trials; and Rick Doblin, a self-invented crusader for bringing psychedelic medicine out of the highly stigmatized deep freeze where it had been stuck ever since widespread popular abuse in the 1960s overshadowed two decades of earlier clinical success. Rick, who had dropped out of college to explore his psyche with repeated LSD experiences, more or less appointed himself — against all conventional logic — as the point man for bringing psychedelic therapy back into the mainstream, and began a decades-long struggle that continues today. He is currently the founder and executive director of the Multidisciplinary Association for Psychedelic Studies (MAPS), a non-profit research and educational organization that, according to its mission, “develops medical, legal, and cultural contexts for people to benefit from the careful uses of psychedelics and marijuana.” The following chapter picks up as Rick begins to prepare himself for the battles ahead. If Rick was going to run an organization dedicated to providing “rigorous scientific evaluation of the risks and benefits” of MDMA, he was going to have to learn how to do rigorous science. He set out to teach himself, beginning with his senior thesis at New College. It was an evaluation, twenty-five years after the fact, of what many considered to be one of the most rigorous early studies on the effects of a psychedelic. On Good Friday, 1962, in Boston University’s Marsh Chapel, Walter Pahnke, a physician, psychiatrist, ordained minister, and Harvard PhD candidate, administered capsules of white powder to twenty Protestant divinity students just prior to the holiday service. Ten of the capsules contained nicotinic acid, a stimulant. The other ten contained psilocybin. The thesis was that spiritually inclined individuals engaged in a sacred ritual might react to the psychedelic drug by having a full-​blown religious experience. It was an attempt to re‑create in a contemporary Western context the religious visions obtained in the peyote rituals of Native Americans and to assess their impact on individuals’ lives. The stimulant administered to half the group was meant to serve as an “active” placebo, because clearly a sugar pill wasn’t going to make anyone think he had been given a psychedelic drug. True, the effects of nicotinic acid—a warm flush sensation created by dilation of the blood vessels and a systemic feeling of relaxation—bore little resemblance to a psychedelic trip, but what did? Pahnke had chosen subjects who had never taken psychedelics, hoping that they would be more easily fooled by the stimulant. This was important, because in trying to assess purely subjective effects—and little was more purely subjective than a mystical experience—the expectation in the minds of both subject and observer could easily create a false positive. This lack of a double-​blind aspect—which left both the researchers and subjects uncertain of who got the good stuff—was a flaw common to the early psychedelic studies, and a key reason why they were so often dismissed. As it turned out, Pahnke’s double-​blind attempt failed. After brief confusion among those given the nicotinic acid when its effects began to be felt, the overwhelming perceptual changes brought on by the psilocybin were so obvious to all that the study participants, who were in the church together, might as well have worn labels. The crumbling of the double-​blind procedure would have been “quite damaging” to the credibility of the results, Rick wrote, if the experiment had been purely intended to measure psilocybin’s ability to produce mystical experience in isolation, regardless of set and setting. But in this case the religious context of the Good Friday service and the spiritual bent of divinity students were all part of the exercise. Pahnke had chosen the participants and location precisely because he wanted to observe the effect of the drug administered in a spiritual set and setting. In Rick’s critique it is possible to see the beginning of a transformation: a “Tim Leary for the ’80s” attempting to remake himself into someone who could research psychedelic medicine with the sober caution that would be required if it had any chance of ever winning FDA approval. Pahnke’s paper on his experiment stressed the positive results. Nobody suffered any apparent physical harm or long-term psychological harm, and an overwhelming majority of those who took the psilocybin felt the experience had been profound and had made a positive impact on their lives, even six months after the fact. One subject said that he had vividly experienced the passion of Christ, identifying with it completely. Another said that after first going through a period of paranoia and feeling imprisoned in the church (which had bars on the windows and a guard at the door to keep the subjects from going outside during the experiment), he began to experience “the dropping away of the external world,” followed by “the sudden sense of singleness, oneness” that made “the rest of normal waking consciousness” seem like a mere illusion. Pahnke failed to report the administration of the tranquilizer thorazine to one of the subjects who received psilocybin [and had an acute anxiety reaction]. There is no justification for this omission. . . . In addition, Pahnke underemphasized the difficult psychological struggles experienced by most of the psilocybin subjects. These very serious omissions point to an important incompleteness in Pahnke’s interpretation of the effects of psilocybin. Some of the backlash that swept the psychedelics out of the research labs and out of the hands of physicians and therapists can be traced in part to the thousands of cases of people who took psychedelics in non-research settings, were unprepared for the frightening aspects of their psychedelic experiences and ended up in hospital emergency rooms. These unfortunate instances of panic reaction have many causes, yet some of them stem from the way in which the cautionary elements of the Good Friday experiment were inadequately discussed in Pahnke’s thesis, in subsequent scholarly reports and in the popular media. [The] optimism regarding the inherent safety of the psychedelic experience did not fully acknowledge the complexity and profundity of the psychological issues associated with psychedelic experiences. With some proponents of psychedelics exaggerating the benefits and minimizing the risks, a back-lash against these substances was predictable. And if he was going to study the politics of psychedelics, he figured, he needed to do it in a way that would give him the best mainstream credential possible. That, he decided, would be the world-renowned John F. Kennedy School of Government at Harvard. Rick remembered a magazine interview with a professor there named Mark A. R. Kleiman who had mentioned the MDMA lawsuit. It wasn’t much of a connection, but Rick called him anyway. Kleiman encouraged Rick to apply, and this time he got in. Rick didn’t really want a government career, but he did want to know how to manipulate the levers and pulleys that could move public policy on the issue of psychedelic medicine. When a team from the CIA came to recruit from the PMI recipients, Rick raised his hand. He thought, What can I do with the CIA? and the answer that came to him was: Propose a study on the national-security implications of legalizing drugs. To Rick, it was obvious that the quarter-​century-​old war on drugs had wreaked a long list of harms on the country, including unnecessarily swelling prison populations, wasting billions of dollars on ineffective enforcement, providing an inexhaustible source of funding for organized crime and narco-​terrorists, and, of course, preventing research into the beneficial uses of marijuana and psychedelics. Would legalizing drugs and putting them under federal regulation ameliorate any or all of the above? The Agency interviewers must have been impressed with Rick, even if they brushed aside his proposal. Would he be interested in doing psychological profiles of world leaders? they asked. After he left, Rick thought about the distance he’d traveled: from being, basically, an outlaw, he had arrived at a place where he was exchanging ideas with the likes of the CIA. For Rick, this wasn’t just one of life’s curiosities but a question of strategic importance. But that wasn’t going to happen. So what other inside job would be worth it? Rick pondered that and came up with answer: he sent an internship application to the FDA. Once again his timing was uncanny. For thirty years, ever since the FDA had prevented thousands of horrific birth defects in the United States by refusing to bow to corporate and consumer pressure to approve the sedative and anti–morning sickness drug thalidomide without further testing, the agency had focused primarily on stopping bad drugs from getting to market. But there was a downside to this unrelenting focus on safety: through the seventies and eighties, the time, money, and effort it took to gain FDA approval for new drugs kept escalating. Many helpful medicines were becoming available internationally long before they could be legally prescribed in the United States. The pharmaceutical industry began to push Congress for FDA reform just as the AIDS epidemic created tens of thousands of new victims each year, all desperate for more effective medicines with the clock ticking against them. In 1987, as the pressure to change ratcheted up, a forward-​thinking clinical pharmacologist named Carl Peck was appointed to head the FDA’s center for drug evaluation with a mission to make drug approval more efficient without compromising the public’s safety. Peck created a new staff within the agency, Pilot Drug Evaluation, specifically to find innovative ways to reengineer the drug approval process. To do that, the new division needed some new drug applications to experiment with. Since the FDA bureaucracy had already divvied up all drug categories among existing departments, Pilot Drug would need to wrest some categories from elsewhere. One of the categories it ended up with—essentially because nobody else wanted it—was psychedelics and marijuana. The unlikely confluence of events—that the psychedelic portfolio was now being relinquished to a staff specifically intended to break new ground, shake things up, and find ways to help get beneficial drugs through an obstructionist system just as Rick was blindly applying for an internship—seemed like fate. Rick got a call from the head of Pilot Drug, Dr. John Harter. Rick was redirected to the bottom of the totem pole, a job that certainly didn’t require a master’s from Harvard Kennedy School. The only remaining interview, with the eight women who would be his coworkers, seemed a formality. Dr. Harter even invited Rick to spend the night before the interview at his house. They’d drive in together in the morning, Rick would do the pro forma interview, and then he’d be hired. Harter had apparently forgotten to clue the women in on the plan. He introduced Rick, expressed his support, mentioned that Rick wouldn’t be working with any psychedelic drug issues, then left them alone. Rick told them he practically lived at Kinko’s. Photocopying would be no problem. “And then they said, ‘Well, how are we going to keep you away from seeing anything to do with psychedelics or marijuana?’ ” Rick tried to soothe their concerns, but he could see where things were headed. When they voted, he lost in a landslide. As it turned out, one of the innovations in Pilot Drug management involved letting the people on the floor have more say in hiring. Harter, embarrassed about what had happened, offered Rick a consolation job helping to get a computer system up and running. In the end, they both decided Rick would be better off on the outside. Besides, Rick thought with relief, now I can still smoke pot and I don’t have to wear a suit. The man leading Scotland's fight against organised crime is investigating Scandinavian-style get-tough policies on drugs. Graeme Pearson, the head of the Scottish Crime and Drug Enforcement Agency, said yesterday he was drawing up a detailed report on Sweden's brand of no-nonsense zero-tolerance on narcotics. Earlier this year, The Herald revealed calls from Mr Pearson to scrap Britain's system of drug classification in favour of a tougher stance. Now he and colleagues have visited Sweden to see how their policies, a combination of strict prohibition and reinforced education, have helped keep addiction at relatively low levels. Michael, who is famous for his solo hits Faith and Freedom among others, was this week named as the first singer to play a concert at the new Wembley Stadium in London. The gig, taking place on June 9th, is part of Michael's British and European stadium tour and marks the end of a near seven-year project to the build the 90,000-capacity stadium, which has been marred by delays and spiralling costs. UN - Although fully backed by U.S. military might and support from other Western powers, the government in Kabul has failed to change Afghanistan's status as the world's leading illicit producer of opium, according to U.N. experts who monitor the worldwide trade in narcotic drugs. Mixed with certain chemicals, opium is used to manufacture heroin, a powerful and highly addictive drug that remains popular with millions of users around the world despite years of international efforts to control illicit trafficking in narcotics. "There is a need for drastic action in Afghanistan," Emafo told reporters, adding that unless the government takes swift measures to address the problem of corruption, there will be no progress in economic and social development. "The illicit poppy (opium) cultivation in Afghanistan has not been contained but has instead reached a record high level," Dr. Philip Emafo told a news conference at U.N. headquarters to launch the International Narcotic Control Board's (INCB) annual report for 2006. Describing the drug control situation in Afghanistan as "rapidly deteriorating", Emafo, who is president of the INCB, said despite local and international efforts, one-third of the Afghan economy remains dependent on the production of opium.